The reports displays the receipts and refunds , according to the selected dates, agencies and client details. This report receives the data from the Receipt_items and Refund_items tables of Hyper, according to the required filters. If no client was selected, the report displays all of the clients, ordered by the client number. Each receipt and refund is displayed in a new row. 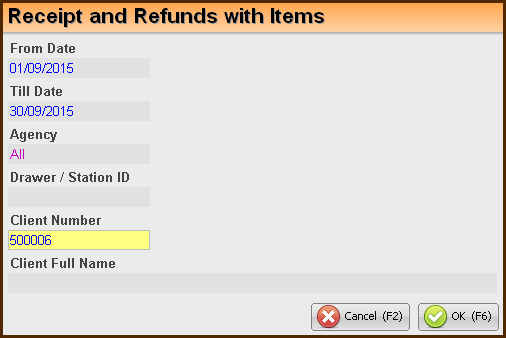 Refunds are marked with red background. After closing the report, the system allows to save the report data in the clipboard. Click the Yes (Enter) button to confirm.